There&apos;s nothing quite like that feeling when you achieve a significant goal. 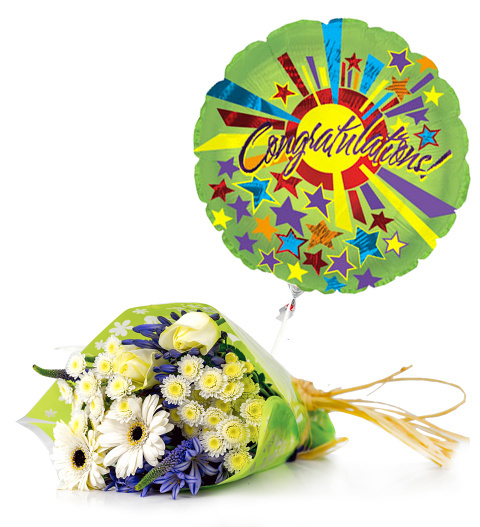 Help a friend or loved one celebrate by sending this flower and helium balloon combo! This bouquet is hand tied with raffia and includes germinis, stallion chrysanthemums, veronica, avalanche roses, agapanthus and is available for UK next day delivery. Each stem is carefully selected and arranged by our expert team to compliment the balloon perfectly for the most amazing visual effect.